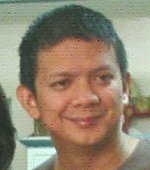 PASAY CITY – “How can we call for an end to the culture of impunity among our government agents dealing with people in government custody when they also do it to their very own men?” Senator Chiz Escudero asked. Escudero posed this question after the so-called torture video found its way to the net, showing men in uniform beating up a group of recruits with sticks and ropes. In the video, the trainees, obviously in excruciating pain, could be heard in screaming. According to Escudero, chairman of both the committees on justice and human rights and the national defense and security in the Senate, this clearly calls for reforms on moral and ethical trainings in the military and police. “This culture of impunity does not make a loyal, disciplined, obedient and fierce soldier. The recruits undergo training, and rigorous it should be for them, but the design should be geared toward molding their characters into warriors who can follow lawful orders. The training showed they are being to become fierce animals without reasons.” Escudero said. Escudero stressed that such acts had no place in a civil and democratic society like ours and was clearly a violation of the anti-torture law the senator sponsored in the Senate. “The law was crafted precisely to stop the culture of impunity which has been found prevalent not only in government institutions nowadays but also in facilities on the other side of government. It is a law that should uphold every aspect of human rights,” he said. Escudero challenged the present military leadership to conduct a thorough review of its policies and programs to improve the quality of its graduates not only in terms of their physical training and abilities, but also in terms of the overall makeup of the soldiers it produces. “Our military trainers should bear in mind that discipline is not acquired only through physical and mental stress. The primary training that should be instilled in the trainees’ minds is the privileged position they are in for having the duty and honor to serve their country and their people” Escudero said. CAMP LUKBAN, Catbalogan City, Samar – With the continuous support of the civilian populace to the government’s Internal Peace and Security Plan (IPSP) “Bayanihan” particularly in “winning peace”, two successful feat had once again marked the Army’s 8th Infantry Division’s security operations in Northern Samar this past few days. In Silvino Lobos, members of the 803rd Infantry Brigade’s Task Group Panther successfully overran the New People’s Army’s (NPA) camp in the hinterlands of Brgy. Senonogan de Tubang around 5:45 yesterday afternoon following a tip from a civilian. Reports from Colonel Oscar Lopez, Commander of 803rd Bde disclosed that the troops under First Lieutenant Nieves were conducting a routine security patrol when an undisclosed civilian approached and informed them on the presence of armed men allegedly seen in the aforesaid place. Lieutenant Nieves then followed the routes directed by the said informant until they encountered some undetermined number of armed terrorists which immediately resulted to a firefight. Exchange of fires ensued for two (2) minutes before the rebels fled away bringing along their wounded comrades while leaving their camp behind. No one was reported hurt on the side of the government. Recovered in the area are three (3) improvised explosive devices (IEDs), tents, personal belongings and voluminous subversive document with significant intelligence value. In the municipality of Catarman, an undetermined number of NPAs harassed the Cag-abaca Detachment of the 52nd Cadre Battalion at around 1:05 this morning. Accordingly, the NPA’s attack failed due to the timely information provided by the residents in the area allowing the troops to prepare. The NPAs were armed with assorted high powered firearms when they attempted to take over the camp. Firefight lasted for more than two (2) hours before the enemy hopelessly abandoned their positions. No troops were hurt during the scuffle while it is still being determined whether there were wounded on the enemy side as of press time. Meanwhile, Major General Mario Chan, 8ID’s commander highly commended the collaborative efforts of the civilians. “We cannot successfully carry out our mandated task without the support of our people. While I am congratulating my troops with their sacrifices and determination to overpower the evil desires of these terrorists, I would also like to appreciate our people who exert more effort just to contribute with our aspirations,” says Major General Chan. He further said that with the unwavering support of the people to thwart the enemy in the area, peace will soon be won in the province. He also said that another NPA plan was thwarted due to the unwavering support of our people. It only proves that insurgency could not be totally solved by a mere military solution. It needs intervention of our people and the civil society. “As I was saying, this feat can be attributed to our people. Our services can be fully carried out if our people also show concern, not just for our soldiers, but for themselves too,” he says. “Our people are already tired of waiting for their long desired peace and development in the region. Even they are voluntarily giving their share to lessen the burden of our government to fast track the solution of the insurgency problem which continues to mocks the decent living condition of our people. 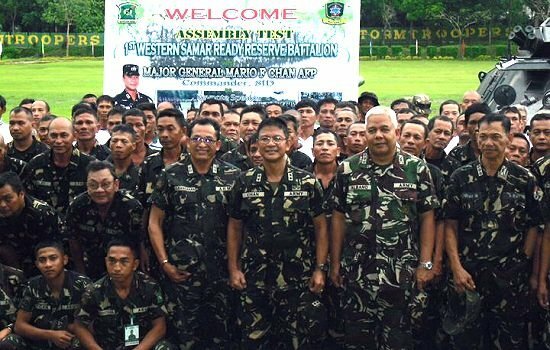 And now that they keep on showing their ardent desire for peace, the 8ID assures them with remarkable services for the sake of peace, prosperity and eventually development in Region 8 ,” vows General Chan. CALBAYOG CITY – Calbayog City’s sole private contractor for garbage collection fumbled when he was confronted with several complaints from the participants, questioning his capabilities to fulfill the conditions in the contract between the local government. 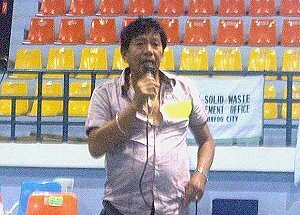 The confrontation occurred on the first day activity of the “2nd Solid Waste Management Summit” participated by 18 barangays held at the Sport’s Center. According to some barangay officials, the garbage truck has no “distinct sound” such as they could not attend to it in times of collection. Others said that it failed to collect regularly, and unmindful to observe proper sanitation and solid waste segregation. That moment, Solid Waste Management Head Reynaldo Gonzaga directly confronted Greg Jusayan, the city’s contractor for garbage collection and told him his defiance to comply with various conditions in the agreement despite the warnings made by the office. He stressed the contractor’s clear violations in the agreements which are valid grounds for breach of contract. Another issue surfaced questioning the privatization of garbage collection overlooking its consequence. “Kay nano nga ginkontrata an collection san basura nga mas maupay man an sadto nga ciudad an nakuha?, Brgy. Captain Ener Bracamonte said. Engr. Gonzaga withheld any information that could possibly stain the corporate approach and intention of the previous administration in privatizing the garbage collection of the city. But in an interview with Samarnews, he revealed that his office was not made part in the drafting of the terms and conditions of the contract until it was perfected by both parties. Being mandated by law for solid waste management advocacy and other technical expertise, its office was not furnished any copy of the contract signed between the city government and the contractor for garbage collection. He added that he attempted tackling the issue before the local chief executive but it resulted an adverse effect. Such as when the contract was implemented in 2006, there was no coordination from the contractor to his office in terms of garbage collectors’ training and orientation; or requesting for a certification whether or not the contractor’s implementation of the program was in conformity with the office and with the agreement between the city government. As far as he knew, the conditions required the contractor to provide 6 units of garbage trucks to accommodate its collection to 22 barangays but only 3 are being used. These trucks are just being parked anywhere within the city area because no motor pool was built for it. His more or less 10 garbage collectors have no sanitation gear or garments to protect themselves from all forms of bacteria; and he also have skeletal manpower to clean the city streets. The summit, which had been bombarded with diverse reactions and complaints in terms of garbage collections, somehow brought an advantage to Gonzaga in bringing the issue to the local chief executive. On the other hand, Jusayan tried to explain that his units were sometimes undergoing mechanical problems which made it unavailable for collection. To appease him from answering the complaints, Gonzaga advised all to be responsible in their respective areas by implementing Republic Act 9003 or Ecological Solid Waste Management Act of 2000 that mandates the barangay level to segregate and collect solid waste specifically biodegradable, compostable and reusable wastes; and can even adopt this law through a barangay ordinance in consonance with the Integrated Solid Waste Management Ordinance of the city. The barangay shall also be responsible for ensuring that 100% collection efficiency from residential, commercial, industrial and agricultural sources, where necessary within its area of coverage, is achieved. He added that the law further states that every barangay shall establish a Material Recovery Facility (MRF) either barangay-owned or leased land or any suitable open space to be determined by the barangay concerned through its Sanggunian; and the barangay or cluster barangays shall allocate a certain parcel of land for the MRF which shall receive mixed wastes for final sorting, segregating, composting, and recycling. The resulting residual wastes shall be transferred to a long term storage or disposal facility or sanitary landfill. In case of Calbayog City, its 4.9 hectares Sanitary Landfill is located at Brgy. Dinagan. Punong Barangay Cristina Maghacot of East Awang also reminded her fellow officials to exercise discipline in their respective constituency because solid waste management problem is everybody’s concern and not by the private service-provider alone. Though there was no clear solution on how or when to resolve the issues, participants have made themselves cooperative in the workshop proper for the preparation of their action plan in the effective implementation of RA 9003 in their respective barangays. CATBALOGAN, Samar – The Department of Tourism through its Regional Director, Ms. Karina Rosa Tiopes, Mr. Antonio Cinco and staff initiated a one day consultation with the tourism focal persons of Catbalogan City and the Municipalities of Talalora and Daram. The forum held at Flaming Hat on March 12, 2011 was intended to look into the identified tourism loops and make an analysis as to its strengths and weaknesses, preparatory to the drafting of a concrete and doable tourism action plan for the next three years in the respective areas. The LGUs concerned were advised to seriously focus and commit themselves in developing one tourism product that will be considered a legacy for all the efforts. Tourism Development Area (TDA) I includes all municipalities of the 1st District of Leyte and the 2nd District of Samar. The clustering or identification of Strategic Destination Areas was based on the creation of the Central Philippines Tourism Super Regions in 2008 by former PGMA. Dir. Tiopes envisions that the identified Strategic Destination Areas (SDAs) will have direct international access with seamless interconnectivity and world class tourist facilities and products that would meet the demands of tomorrow’s tourists. It will consider sustainable development of tourism products, environmental protection, adequate infrastructure, national management of destinations, capacity building, investment promotions, effective marketing and improved business environment as vital components or strategies towards the attainment of the said vision. With the Tourism and Investment Code already in effect in Catbalogan, an active Tourism Council and a Technical working Group contributing in giving tourism industry a push, a Tourism Value Chain Analysis was conducted by Mr. Antonio Cinco. The value chain is an analysis tool for strategic planning. It identified a sequence of business activity of every sector in making a product. “Thus, all other sectors need to be mobilized effectively because if an operator performs or does not perform in accordance with what has been planned, the entire market is affected. A chain is as strong as the weakest link”, explains Mr. Cinco as he stressed the importance of coordination of all sectors in the community. The three LGUs were made to demonstrate the respective loops in terms of tourism sites identified, modes of transportation, travel time and activities that can be offered to tourists. Raul Reyes, the designated Tourism Officer of Catbalogan City shared new concepts in marketing Catbalogan as a tourist destination. He mentioned about the city seascapes with overlapping islands that are comparable to that of the Carribean. Furthermore, the city identified 7 populated islands under Catbalogan jurisdiction, 27 unnamed islands and 7 with coral reefs that need developing. Tourism interests in Catbalogan include religious, historical, cultural and adventure sites. On the other hand, Talalora has adventure and village tours as tourism activities while Daram will capitalize on the sun, sea and sand features as a potential island destination. The consultation pointed out various challenges such as the inavailability of a concrete monitoring or database as to the arrivals of tourists in the area which is made as the basis for funding assistance from the DOT. There was an observation raised as to the lack of enthusiasm of hotel and restaurant owners in attending seminars to upgrade their skills and get involved in tourism planning. 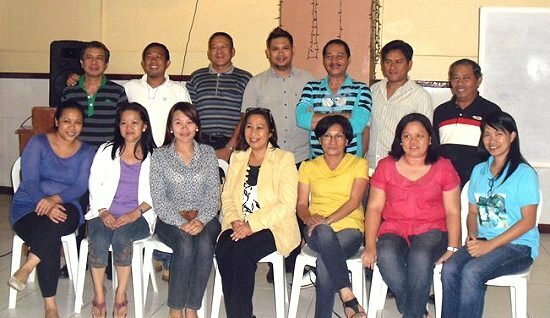 The immediate organizing of the Hotel and Restaurant Association of the Philippines (HRAP), Catbalogan Branch was suggested to foster collaboration and cooperation among accommodation providers. An immediate establishment of a Tourism Assistance Center where visitors can converge should also be prioritized. It was suggested that the center be situated near the bus terminal or the port area where it is visible, accessible and serviceable. Before the day ended, Dir. Tiopes required the LGUs to submit three priority sites for development, identify operators and enablers (value chain mapping) and discover the opportunities and constraints, timelines and responsible agencies as outputs of the consultation. “We should not forget to involve the community. In the end, it will be the people who can make tourism happen. Let’s identify our respective roles in the tourism industry. I’m calling on the legislators present to come up with ordinances that would promote tourism in your area. Let’s work together in achieving peace and project the image that Samar is not a risky place and a visit to Samar is worth it” were Tiopes’s final message of encouragement to the participants. The active participation of the three LGUs headed by Hon. Stephany U. Tan of Catbalogan, Mayor Lou Astorga of Daram and the representative from Talalora was very well appreciated. QUEZON CITY – Greenpeace today called on the administration of President Benigno “Noynoy” Aquino III to abandon all nuclear power plans, including those currently included the Philippine Energy Plan and the Energy Reform Agenda, and instead focus on achieving long term sustainable progress through safe and reliable renewable energy and energy efficiency technologies. The environmental organization also challenged legislators, particularly those who have just this week reversed their pro-nuclear stance, to author a bill that would declare the Philippines a nuclear energy-free zone. “Our thoughts remain with the Japanese people, who in the aftermath of the earthquake and tsunami are now faced with a dreadful situation, where instead of being able to plough all resources into rescue and relief efforts, the government is dealing with a crisis caused by the inherent and inescapable risks of nuclear power,” said Amalie Obusan, Climate and Energy Campaigner of Greenpeace Southeast Asia. “It is unfortunate that Philippine nuclear proponents need a tragedy such as the one unfolding in Japan, for them to reflect on their dangerous propositions. But they should go beyond merely statements that they are reconsidering their position on nuclear energy, or are putting a moratorium on their nuclear proposals. Nuclear power should be removed from the country’s current and future energy plans: it should be deleted from the energy agenda, and there should be legislation to block all future nuclear proposals,” she added. Nuclear proponents in the Philippines have been trying to promote the technology with claims that nuclear power is ‘safe,’ and that it is a ‘cheap’ source of electricity. But the statements from the nuclear lobby are more rhetoric than reality. Nuclear power has been proven to be an economic and environmental disaster around the world, aside from threatening peace and stability, and shrouding communities residing near nuclear power plants and waste sites under constant fear of accidents. Japan, which has 54 nuclear reactors (11 of which have been shut down since the quake), still has one of the highest costs of electricity in Asia. France, which operates 58 reactors that provide 83% of the country’s electricity needs, is the largest nuclear energy user, but looking at its economic development for the last 40 years with comparable countries that have made very different energy choices reveal that no competitive advantage can be attributed to nuclear power. In the Philippines, the lack of a nuclear safety framework, which include legal and governmental infrastructure, radioactive emergency response and management systems, protocols on radioactive materials transport and nuclear waste management, and accident liabilities, are questions that nuclear advocates have never addressed. “After more than half a century of study, development and use, nuclear technology still cannot guarantee energy security, much less the safety and health of people and the environment. Nuclear energy is inherently dangerous and an expensive distraction. Progress can only be achieved through clean renewable energy, unhindered by dirty, dangerous and finite fuels. The government must phase out both nuclear plans and fossil fuels as soon as possible, and invest in renewable energy and energy efficiency technologies that are not only environmentally sound, but also affordable and reliable,” said Obusan. CATBALOGAN CITY – Another first in the 8ID’s history was witnessed by the military and the civilians alike, when more or less 200 reservists from the western part of Samar flocked to the 8ID camp to register as additional members of the Army Reservists Group for an assembly test last March 12, this year. The 1st Ready Reservist Battalion will be enrolling 556 volunteers with ages ranging from 18-65. In order to qualify, they must have graduated from the Reserve Officers Training Course (ROTC) for college graduates and Citizens Military Training (CMT) for high school graduates, ex-CAFGUs, retired military personnel and professionals, preferably priests, lawyers, doctors and all others. “Reservists will be called to duty to assist in Disaster Risk Management and Relief Operations and environmental protection. However, in times of war, they can be engaged in military operations”, informs Col. Fernando B. Felix, the 8RCDG commander. The applicants will undergo documentation procedures by filling up the Reservist’s Information Data Sheet, after which they will be provided with uniforms, identification cards and will be issued their respective serial numbers. For the actual services rendered, a corresponding subsistence allowance will also be given to these volunteers. Applicants can either be an enlisted personnel or an officer with designated military ranks just like those in active service, depending on their positions or stature in the community. A governor can have the rank of a Lt. Colonel and a mayor can be a major. The whole day activity was filled with the usual surprises initiated by the 8th Infantry Division Commanding General, Maj. Gen. Mario F. Chan. It started with an orientation to various military operations and tactics, reorganization, instructions and personnel build-up to respond to given scenarios. Furthermore, they were made to familiarize with the regular infantry operations, mechanized infantry operations, field artillery, signal operation and others. In the afternoon, actual demonstrations by the reservists were conducted. The simultaneous and precise moves made by the group in responding to the security threats were more than an assurance that they really will be an additional productive workforce for the military. “We should help in training the youth in the concepts of nationalism, patriotism and discipline by supporting the ROTC program. This is a source of professional upliftment for us and part of the continuous education”, CG Chan was quoted as he commended SSgt. Eugene Calumba of the North Western Samar State University in Calbayog City for making it on top as the ROTC Commander and a reservist. The newly installed ARESCOM Commander, Col. Alex Albano, shared his personal concern by conceptualizing an innovative learning through engagements in simple capability demonstrations. He commended the participants as full front catalysts for development by maximizing their non-traditional military roles. He encouraged everyone to be the dedicated pioneers of reservists who will continue to symbolize the committed and responsible citizenry. In his final statement, he stressed the importance of their role in promoting peace and development that would lead to the improvement of the quality of life of every Samarnon. CG Chan assured to strengthen the organization towards efficiency. He promised to continue to instill the discipline and harness the national character and national spirit of the Filipinos. He succeeded in inspiring the reservists present when he said that “the best soldiers come from Samar”. The usual performance of the 8ID dancing band enlightened the mood of the activity. It was culminated with the singing of the military hymn.